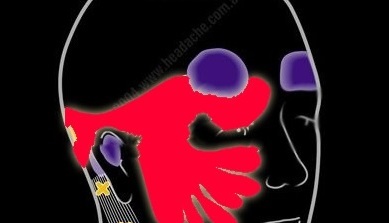 Muscular Trigger points are a common source of pain around the head, neck and shoulders and can often be found in association with headaches and migraines. These tender points can refer and radiate pain, and usually arise as a consequence of poor muscular function due to bad postures or repetitive strain. A diagnosis from a healthcare expert can often lead to simple solutions for relief and prevention. See the relevant sections for more information. See also treatments section for recommended healthcare experts.